This is an online forum for professionals who support women survivors of domestic abuse to discuss law and policy relating to family law. FLOWS Forum is part of the wider FLOWS – Finding Legal Options for Women Survivors –project and is funded by the Tampon Tax Fund. FLOWS is run in partnership between RCJ Advice and Rights of Women. You can find more information on FLOWS here. 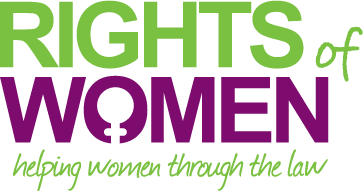 FLOWS Forum is hosted and managed by Rights of Women. This forum aims to support frontline domestic abuse support services. Members are encouraged to avoid the use of technical legal language if possible. To join the FLOWS Forum please register. You will be asked to provide your full name (you can have a different screen name which will be visible to other members), job title and organisation / affiliation and work email address when you submit your join request. Rights of Women, 52-54 Featherstone Street, London, EC1Y 8RT.